Spring is synonymous with nature bursting to life all around us which brings wonderful colour in blooms that are reborn after winter. 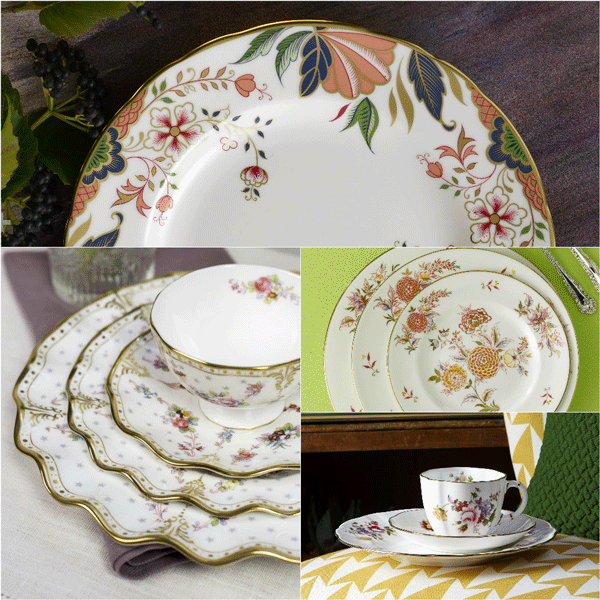 What better way to bring this season into your home with superb spring inspired tableware patterns? Flora and fauna inspired patterns. Spring blooms burst to life through the winter frost to bring beautiful colours and sights for us to feast our eyes on during this season. Bluebells, daffodils, crocuses and many more flourish in abundance in our gardens and throughout the countryside to welcome the new season. Royal Crown Derby’s wonderful floral tableware designs bring the essence of the season to life with stunning floral accents adorning our fine bone china tableware. Magnificently handcrafted floral designs showcase the beauty of nature in a range of classic and contemporary styles to suit everyone’s taste. From the opulent Royal Antoinette pattern with stunningly detailed floral accents highlighted in stunning 22 carat gold detailing perfect for that special event or celebratory afternoon tea to the beautiful reimagining of floral design in the Chelsea Garden pattern which embodies traditions of the ever popular Imari decoration in modern colours and interior style of today’s homes. Delicate dusty pastels are a staple colour for springtime using soft hues of baby pink, green and duck egg bring a touch of the seasons colour into your home. 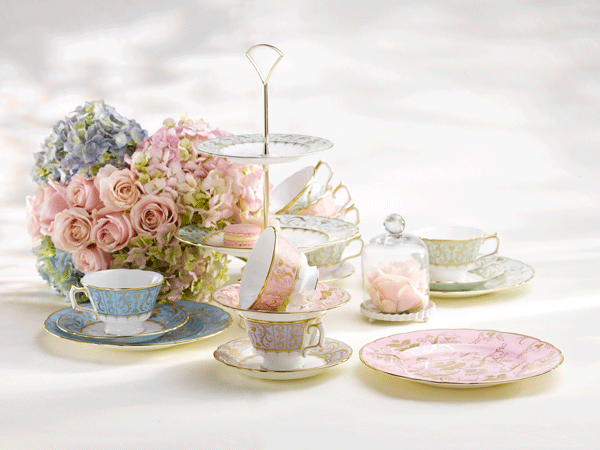 Royal Crown Derby’s wonderful range of powdery pastels is a perfect way to add some springtime colour and perfect for serving afternoon tea alfresco. The Darley Abbey and Darley Abbey Harlequin tableware designs showcase an array of pastel shades using tones of duck egg, green, baby pink and lavender with beautiful 22 carat gold detailing in a classic pattern and shape. Dusty tones of pastel colour are perfect to add to your existing tableware, inspired by the prettiest of seasons and very much on trend this time of year. View our full range of tableware here.